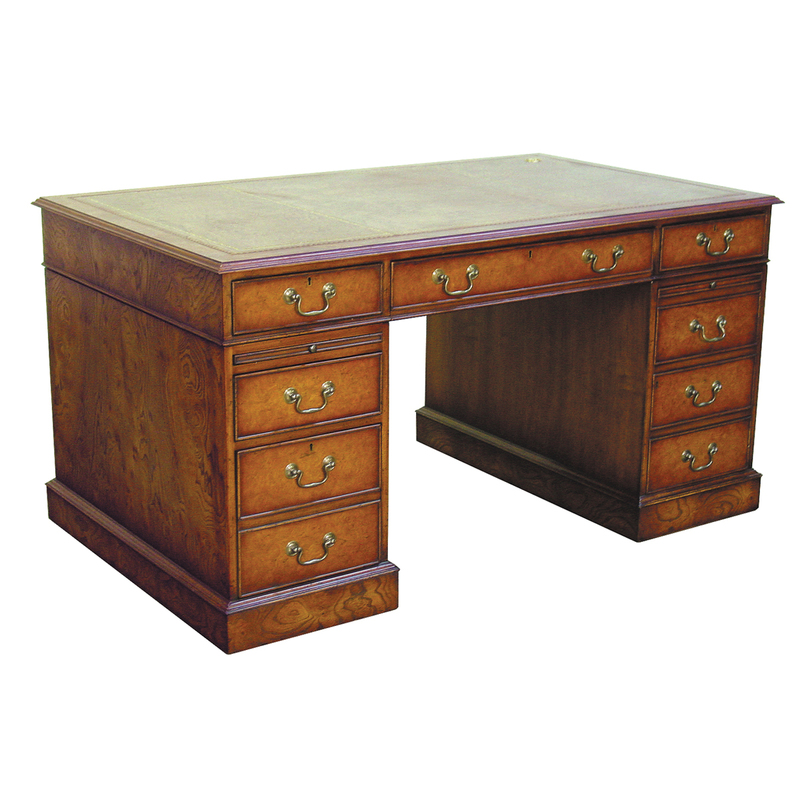 Create an elegant home office with one of our traditional style desks. 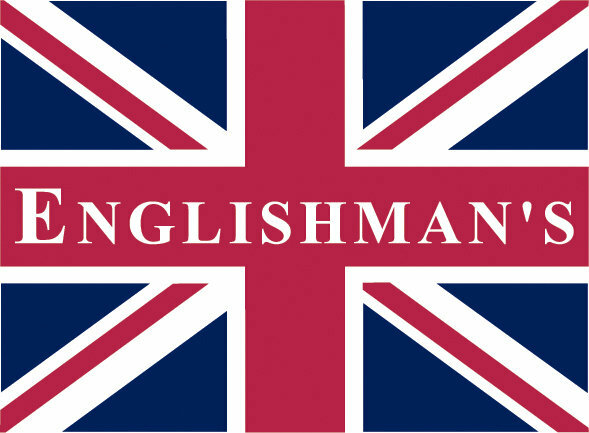 We have to offer writing desks, pedestal desks & partners desks. Looking for something unique consider a custom desk hand tailored to your own design. 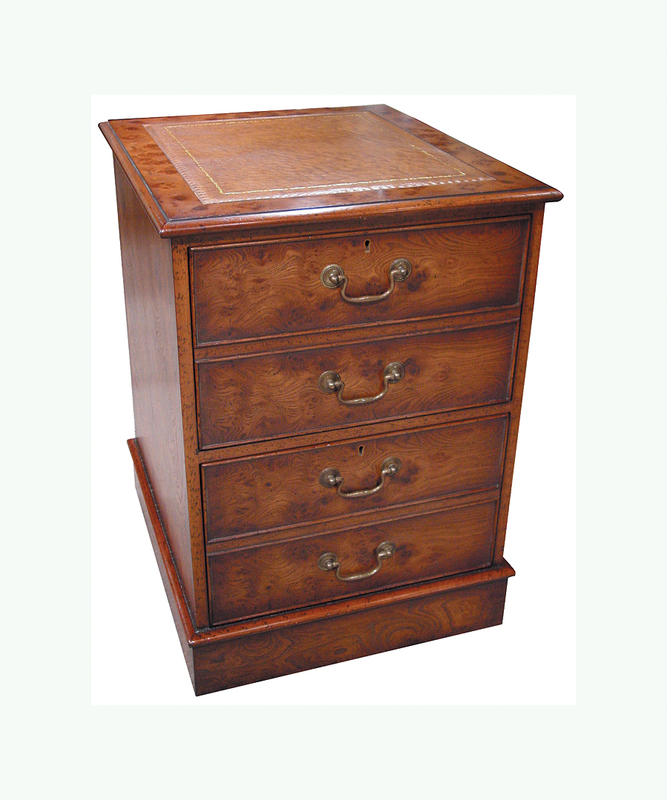 Burl elm leather top 4 drawer file cabinet. Burl elm 5' X 3' leather top computer desk with keyboard tray & tower cabinet. 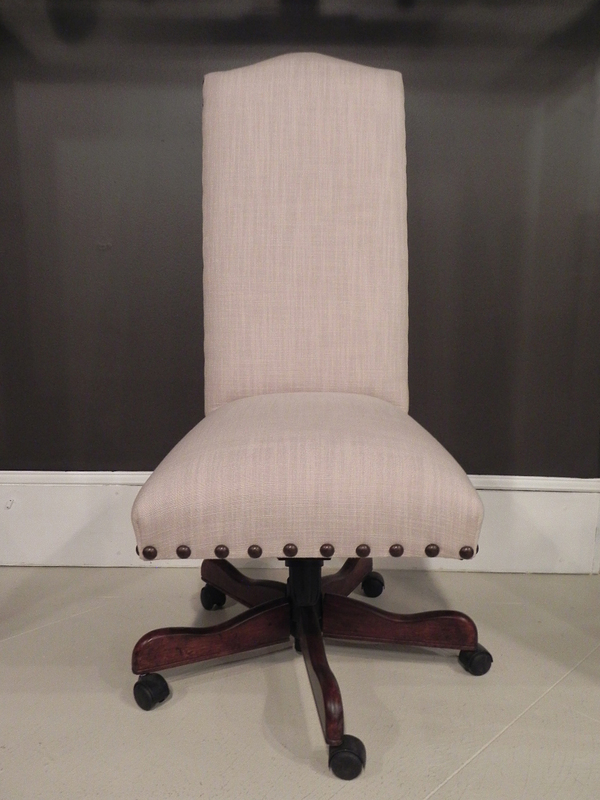 Also available in size W:54" D:30", item # S302A. 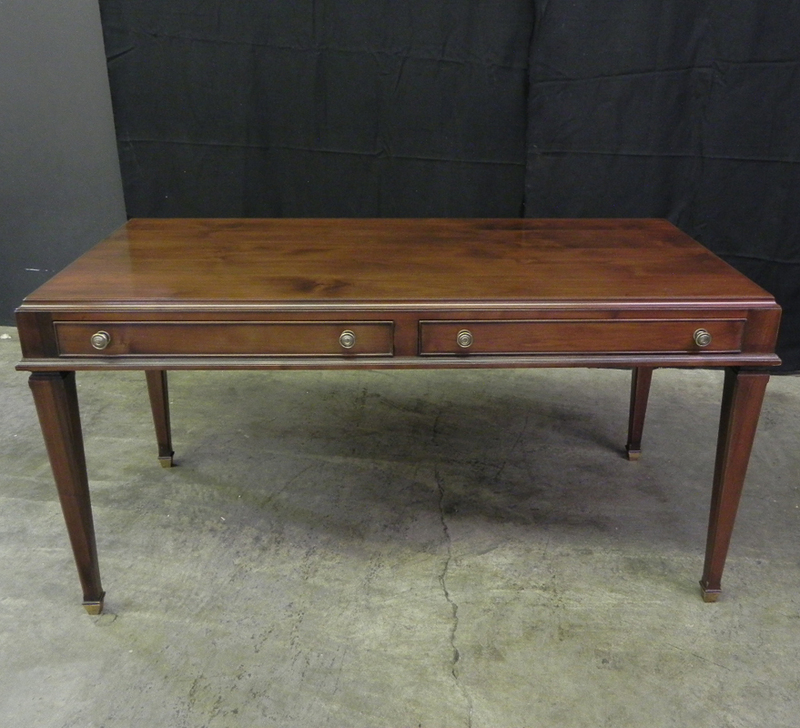 Walnut, 6’ X 4’ Chippendale shaped leather top library table with 3 drawers. This beautifully crafted 2 drawer writing table with brass toe caps, shown in our mid cherry finish is from our HIGHGATE COLLECTION. Mahogany 5' X 2' black leather kneehole credenza with keyboard tray,file drawers, slides & drawers. 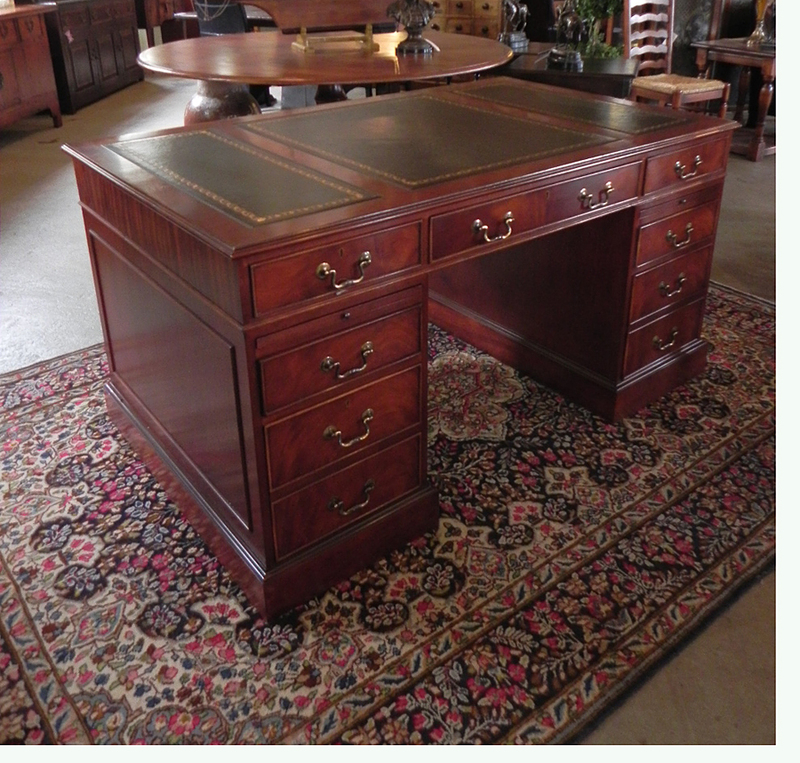 Mahogany 5' X 3' black leather top pedestal desk with file drawers, slides & drawers. 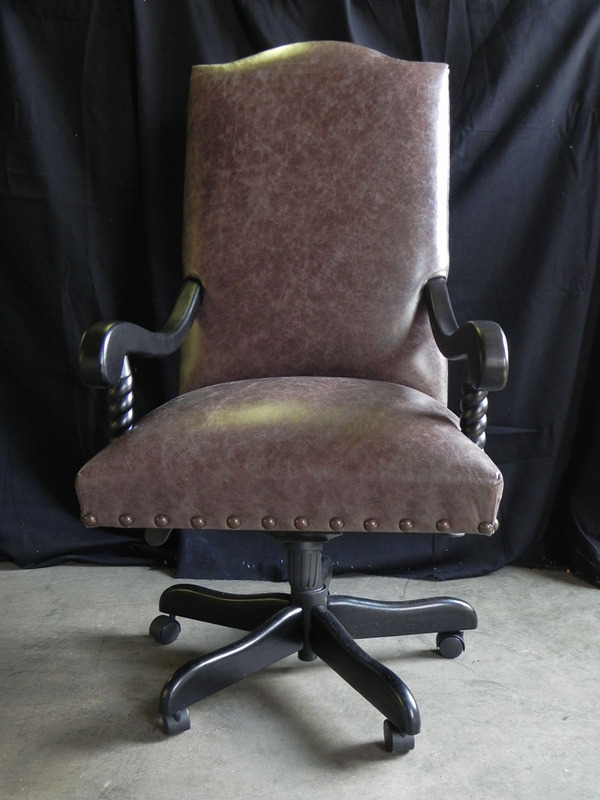 Mahogany 6' X 3' black leather shaped top pedestal desk with modesty panel. 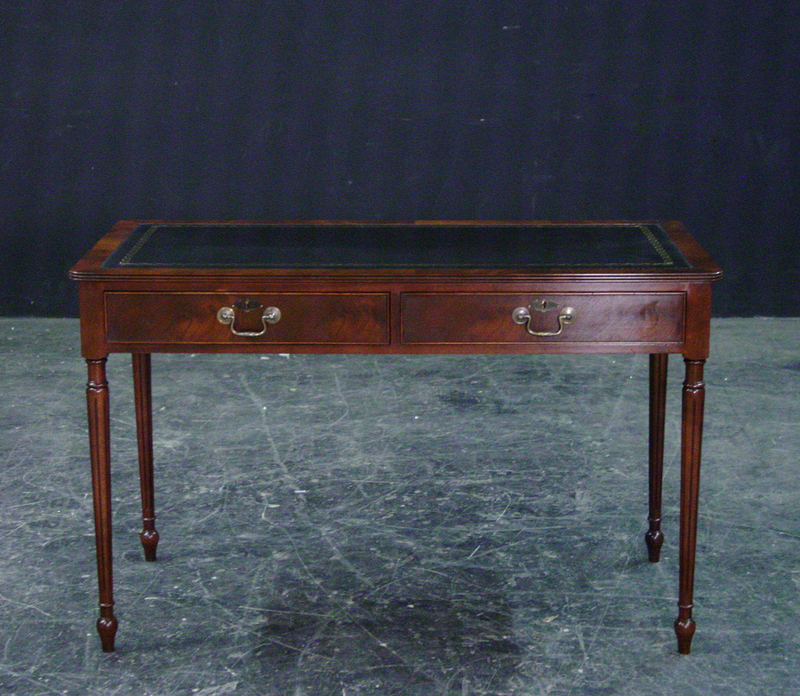 Mahogany turned leg 2 drawer writing table with black leather top. 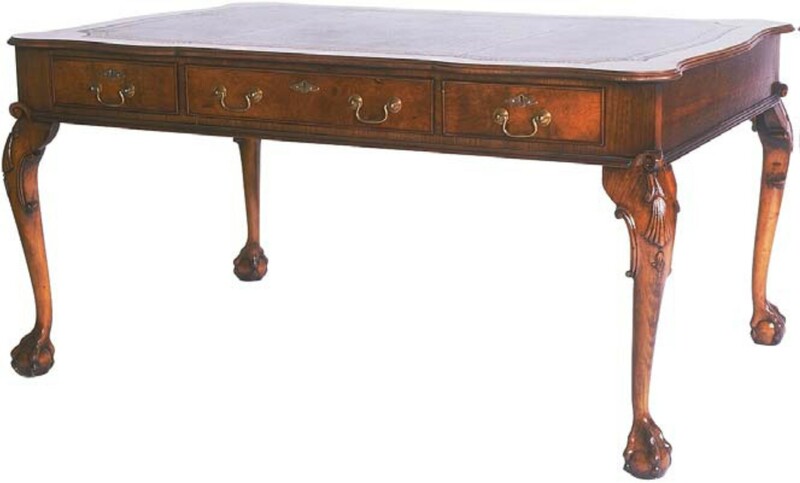 Mahogany inlaid 5’ X 3’ 3 drawer turned leg gold tooled leather top writing table. 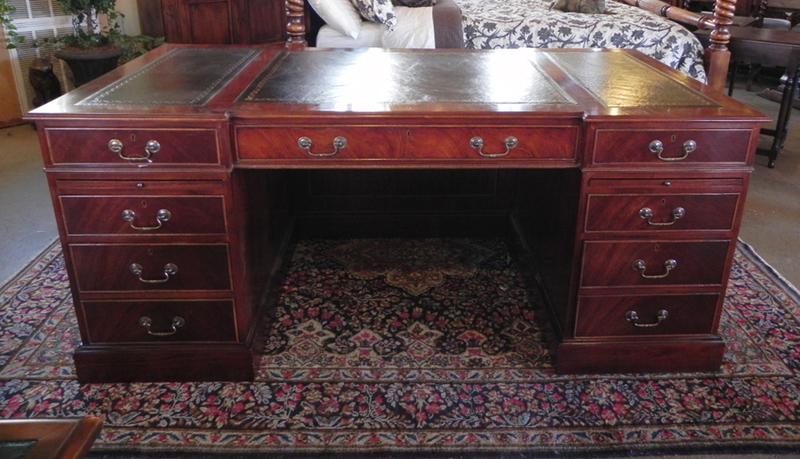 Antique cherry finish gold tooled & embossed leather top writing desk with painted 2 drawer base & tulip leg. 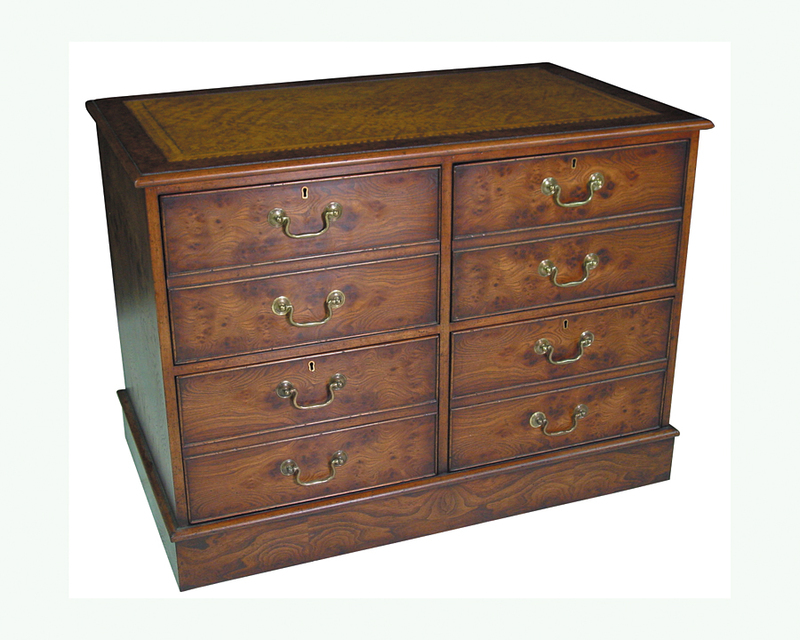 Burl elm leather top 2 drawer file cabinet. 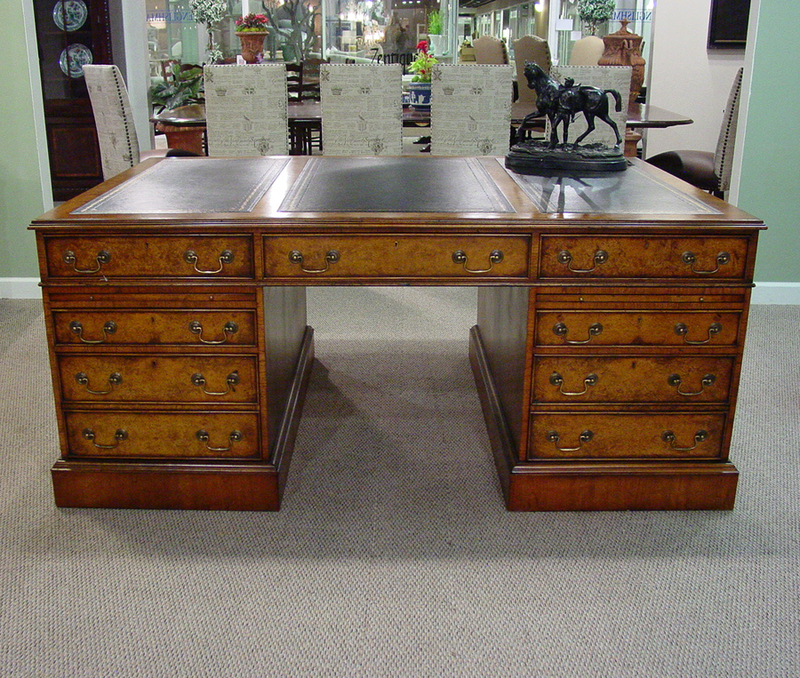 Walnut 5’ X 3’ 2 drawer fluted leg desk with gold tooled black leather top. 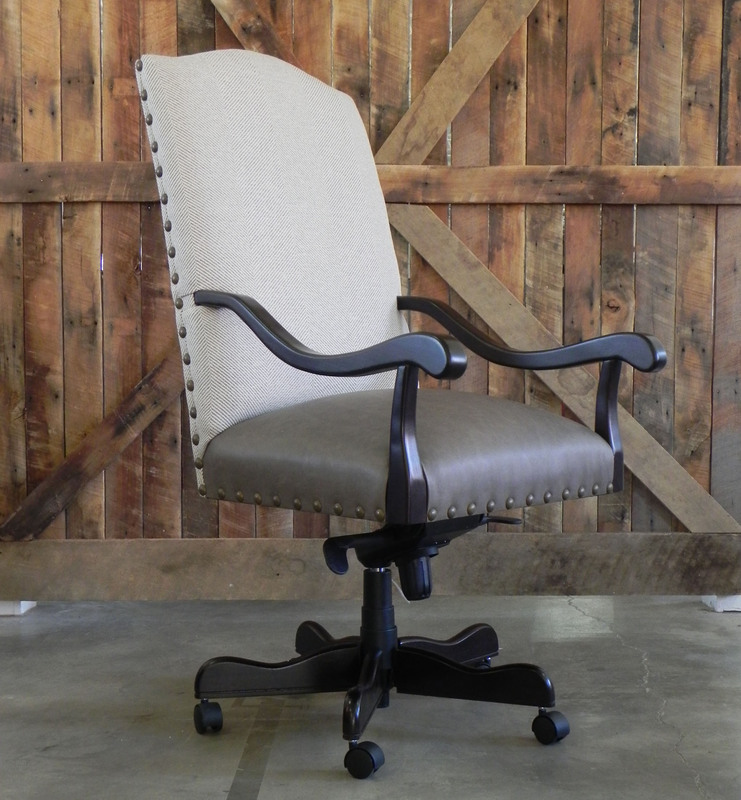 Walnut 6' X 4' black leather top partners desk. 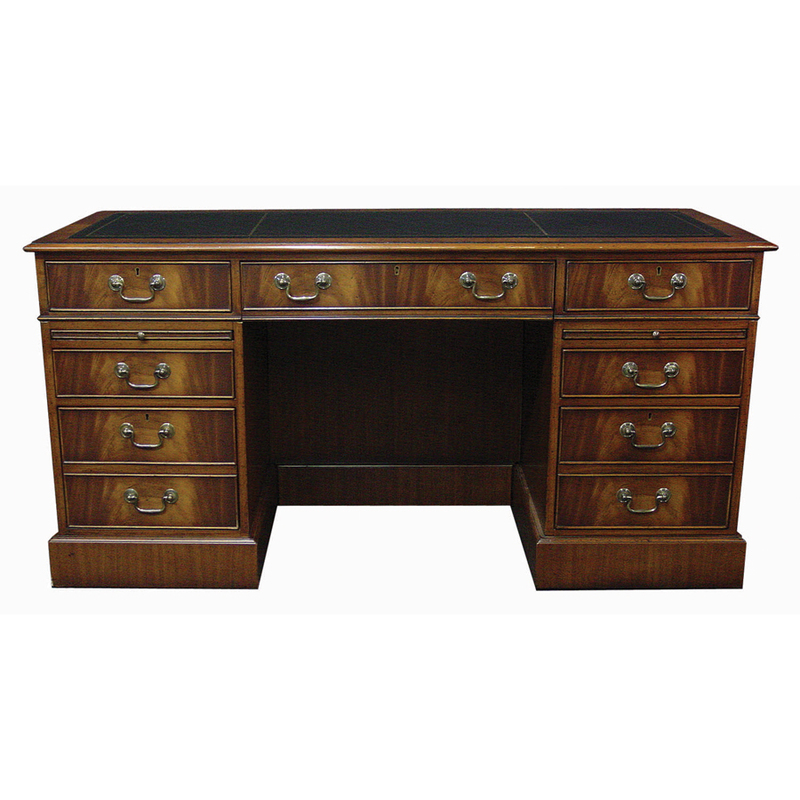 Walnut 6' X 4' black leather top partners desk with drawers on both sides. 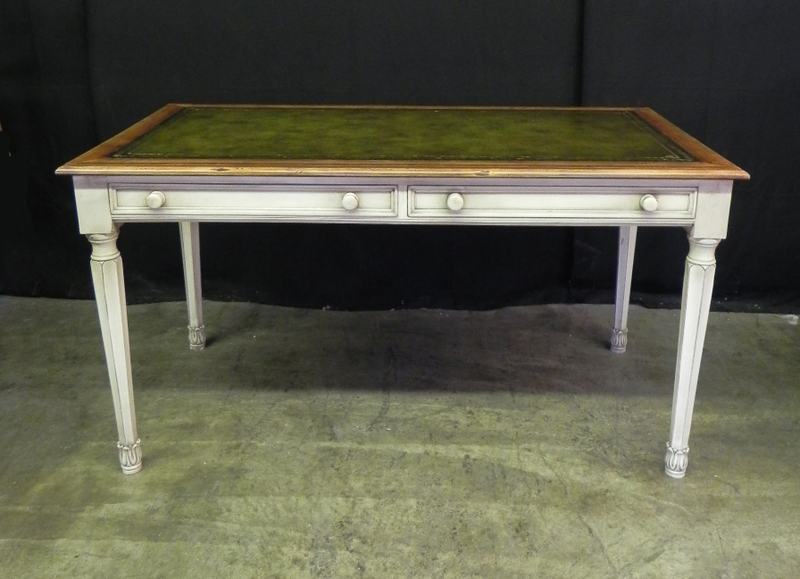 Yew Wood, pedestal desk with gold tooled & embossed brown leather top & modesty panel. Desk features slides, drawers & file drawers.